There are thousands of people all over the world who are aware of Global Celery Juice Movement. Anthony William is the originator of this movement. 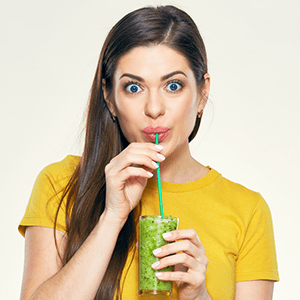 Lots of people are enjoying healing benefits of drinking celery juice daily – a particular remedy action that Anthony William has been promoting. 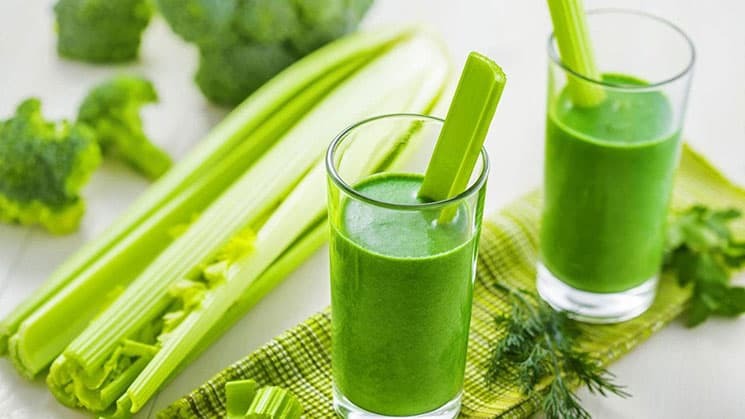 After reading his Medical Medium book series, people have found celery juice to provide them improvement, healing and relief from various chronic and acute illness. That’s why people frequently ask and find answer for what is the best juicer for celery. The following guide may help you to decide which juicer is more efficient for producing celery juice. 2 What Types of Juicers are Best for Celery? 8 How to Make Celery Juice (Step by Step)? What Types of Juicers are Best for Celery? With the enhanced popularity of celery juice, people have been very much concerned about the juicer which is ideal to juicing celery. When it comes to celery, I suggest keeping away from any juicers with high speed and even if that is a masticating juicer. 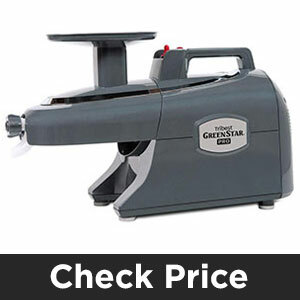 For the pure test and great juicing yield, avoid centrifugal juicers. Though, both of the juicers produce some yield but the amount of nutrients may vary. In centrifugal juicer, celery can clog easily and notably damage the juicing elements. As a result, the celery loses the healing capability. In place of various juicers, I recommend you to stick with vertical style slow masticating juicer. The single auger model and twin gear model both can juice efficiently any fibres vegetables. Both styles are fairly better as the celery does not clog as normally. These juicers produces adequate pressure that extracts all the nutrients and even the tougher vitamins and enzymes. Masticating juicers extracts much juice comparatively to any centrifugal juicers. It means you get your sixteen ounces (Anthony William’s recommendation) of your celery juice with using less celery. Another noteworthy benefit of masticating juicers is that they are silent. This allows you to make celery juice in the morning without disturbing anyone else. There are four best celery juicers listed below that juice celery stalks efficiently. Each juicer comes with different quality and price. You can consider them before final selection. You can’t actually go wrong with the well-known Omega series and if that is the Omega VSJ843RS. This is a slow juicer which sits quietly right on your countertop. 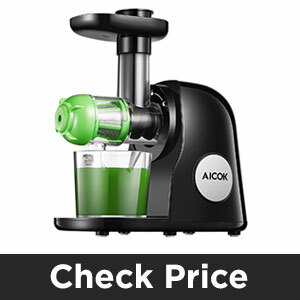 I consider it as the best omega juicer for celery because of its function and affordable cost. It is a compact model, contemporary design and very much productive juicer. Omega VSJ843RS with its structure and function gives you the best of extraction and maximum healthiest juice. It produces highly nutritious juice from celery with a low speed of 80 RPM. Low pressure grinds your ingredients without corrupting vitamins and enzymes with extra heat. The machine comes with ‘reverse function’ which works competently if the juicer gets any blockages or clogs. This machine is actually designed for greens for maximum juice and completely dry pulp. Therefore, you will receive more celery juice and nutrients from Omega Vertical Slow juicer. Low speed only 43 RPM makes continuous fresh juice, runs with 150 Watt motor. Newly designed dual-edge auger comes with strong fit tolerance strains, breaks down ingredients to a palatable stage for smoother, nutrient dense and fresh juice. Gentle and slow squeezing movement keeps enzymes intact, delays the oxidations and lessens heat buildup for increasing the shelf life of pith. Squeeze fruits, vegetables, wheatgrass and leafy greens for better juice. Additional usage is making nut milks. Automatic pulp ejection allows you to make juice continuously. Auto cleaning mechanism makes it handier by keeping the screen clear. When you are completed juicing, auto cleaning system stops the cleaning process. An ideal juicer machine, Aicok Masticating Juicer comes with strong and quiet motor, cold press technology and lots more features to allure your mind. The 80 RPM motor speed ensures actual grinding and masticating of the ingredients that you put into feed chute. Enjoy 90% extra nutrition growth, high vitamins, minerals, and enzymes free from much friction and heat. Sometimes cleaning a juicer seems a nightmare to many people, but this juicer is easy to clean without any disturbance. BPA-free materials provide safe juices. Fruits are easy to juice and most of the tough green veggies also offer amazing yields. You can attain this incredible and cheap machine with 2-year regular warranty and 1-year additional warranty. Reverse function improves the overall juicing procedure. Cold press juice extractor allows you to enjoy the maximum yields from any fruits and vegetables. The 7-segment spiral system that you can upgrade depending on your needs. It produces more juice yields, most nutrition, and minimal oxidation. 80 RPM motor brings less foaming. No clogging ensures a longer running time efficiently. Dishwasher safe parts are designed with modern technology. Sound less than 60 DB let you get pleasure from a calm life. PMMA materials are safe, effortless to assemble, and easy to clean. Perfectly separate pulps from the juice. 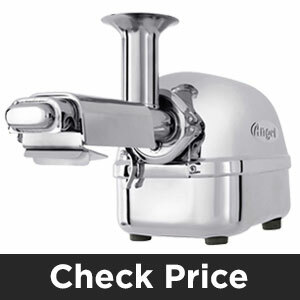 Proper pulp ejection system enables you to extract every drop of juices from ingredients. The Tribest GS-P502 is a pro designed masticating juicer with an amazing 3-year warranty for commercial grade use and 15-year warranty for household use. It is one of the best slow juicer for celery. Tribest GS-P502 produces more juices and nutrients compared to all other Greenstar series. The inner engineering has been designed with the best green-chewing device that works like human teeth. New gears are attached with all other parts that make the juicer easier to set up and easier to use than ever before. The Greenstar Pro has bio-ceramic technology that produces fresher juices without losing any of the precious nutrient content in the juice. Now, you can store juice for longer times with Tribest GS-P502 Pro. Stainless steel made, tough and sharp steel gears mimic the grinding movement of human teeth. The heavy duty jumbo twin gears feature the magnetic and bio-ceramic technology. Slow 110 RPM cold press machine, runs with 165 Watts motor power. It ensures less oxidation for high quality juice yields from all vegetables, fruits and greens. New locking system ensures maximum convenience to remove turning knobs, assemble and disassemble the juicer. Safety switch system prevents you from injury by eradicating chances of interacting with sharp and moving parts of the machine. The safety switch is included in the safety hood, when the hood is removed the machine stops running. New designed adjusting knob boosts the efficiency of the machine. Knob’s easy grip feature enables you to turn, grasp and manually manage the speed inside the machine. Tamper holder gives you extra convenience. A slightly lesser known slow masticating juicer, but within your tight budget, you can pick this economical juicer for celery. The juicer produces higher yields from fruits and vegetables and even from leafy greens. 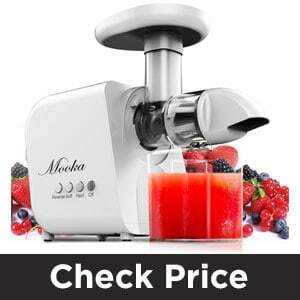 The Mooka juicer is featured with the newest juicing technology. It has achieved ETL, UL and FDA certification that declares its recognition by the experts. This juicer comes with some additional features, lifelong customer and technical support, 2-year motor warranty and 1-year for the rest of the parts. With a very affordable price, you can enjoy 3-month refund guarantee. A low-speed juicer, rotates at 80 RPM, ensures the purest nutrients as opposed to conventional centrifugal juicers. You get more juice by the strong auger squeezing and crushing. Low RPM preserves vitamins, mineral, enzymes and trace minerals. Low heat, less foaming, no clogging and keeps the oxidation to a lower level. The machine enhanced the celery yield with up to 80% extraction which means more nutrients get released from the same amount of ingredients compared to others. Reverse mechanism with twin gears enables you to control the direction and prevent clogging. Turning the machine in a reverse direction let you to take away what is jammed inside. Juice can be safely stored for up to 3 days (72 hours) without juice separation or degradation. The Mooka slow juicer comes with two compartments which are detachable, making it convenient to assemble and disassemble. Noise is less, not more than 60 db. The Super Angel luxurious model is designed for the highest efficiency, longevity and ease of use. The deluxe model is a competent juicer for juicing sprouts, leafy greens, herbs and all other vegetables. If you have a high budget, you can go for it as it juice celery perfectly than other models of low budget. This machine is faster and saves your time when juicing for your family or more than one person. Heavy duty construction, more reliable Super Angel All juicer enhances your peace of mind when juicing more confidently with two stage juicing system. It crushes and grinds ingredients into very smooth particles and you enjoy more natural outcome. Comes with lots of improved features, main control board is noticeably enhanced and makes the juicer easy to handle. Quite slow juicer, only 86 RPM keeps the yield more nutritious and healthy. Two stages, twin gear system allow you to juice any vegetables and fruits. Surgical stainless steel made construction and BPA-free materials ensure the purity of yield. Anti jamming mechanism, an automatic reverse system prevents any clogging. An automatic motor sensor controls the heats and protect from over heats. 10-year warranty on motor and parts ensures your secure and pleasant using. How to Make Celery Juice (Step by Step)? You can make celery juice like all other vegetables. If you have previously juiced any vegetables, you can follow the same steps. However, I am pointing out the steps to remind you the exact way to make celery juice. Make sure you have organic celery stalks, a juicer, a jug, a knife and a chopping board. You will also need vegetable wash or some water. A clean preparation area and a cup to keep the juice are also necessary. Take the appropriate amount of celery that you want to juice. Celery is an incredible vegetable juice. It contains higher water contents and so you will receive adequate juice out of standard amount of celery. My experience says you should take it separately without mixing any other ingredients. It allows you to taste the pure celery and achieve a lot of benefits. So, clean the celery stalks itself. Only wash the sediments and get the dirt off from the bottom. You can use slightly warm water to clean up the stalks. You do not need to remove any leaves that you see on celery. Because they are also full of vitamins. Now, we have celery ready to produce juice. Prepare your best juicer for celery for the operation. Make sure you have a slow masticating juicer if you want juice with full of nutrients. However, you can use centrifugal juicer too. You can put whole celery in the machine as it is quite soft vegetable. Ensure that your juicer is ready to the standard setup. Keep a jug near your hand so that you can use that when required. When you will start juicing, the juice will appear in the cup immediately. You will use the jug to catch the waste that comes out the other side. You are ready now and start juicing the celery. The step is just fun, put your celery in the juicer from the top. Wait a bit to collect the juice in cup. You might feel resistance, but do not stop pushing the celery. If you find any jams or your juicer stop running, turn off the juicer and run it again. You can bring the celery out and put them in again. You can cut celery stalks if you find them a bit longer. Most of the times, I cut celery stalks and put them in the juicer. I found more yields and pleasant taste. Now, juice all the celery and leave them for a moment. It may take few seconds for all the drips to appear in the cup. Take the juice in a glass and drink it. If you try celery juice at the first time, you might feel it slightly bitter. It will be alright after regular consuming of celery juice for few days. Don’t add anything additional if you want natural taste and plenty of benefits. However, if you want you can add carrot or ginger juice. You can put another cup under the juicer to catch any remaining drips. Generally, I receive 150 milliliters of juice from five sticks of celery. Celery has its own strong flavor, so you do not need to add anything else. Adding carrot, ginger or apple can produce a different flavor. What is the perfect amount of celery juice to take daily? Generally, the ideal amount is 16 ounces of straight juice from celery. Taking daily that amount of celery juice helps to receive maximum healing benefits. If anybody suffers with chronic symptoms or illness, he can increase the juice amount up to 24 to 32 ounces each day. When is the ideal time to take celery juice? Celery juice can be consumed efficiently in the morning before taking any food. This option is highly recommended, but if it is not possible there is another option. The 2nd best option is to drink celery juice anytime in the day 30 minutes before or after taking meal. What is the best type of celery? Organic celery is always best, but don’t worry if you don’t find organic. Typically grown celery is available everywhere, you can purchase them easily. Before placing them in juicer machine, make sure that you give each stalk of the celery an efficient rinse in fresh water. When can I prepare celery juice? If you want to drink fresh juice and enjoy the natural taste, you should drink celery juice instantly after preparing. If you don’t have scope to drink celery juice immediately, you can drink stored celery juice. Make sure that you drink juice within 24 hours after juicing. In some specific cases, you can keep juice in a mason jar with seal and store in a fridge. Can I cut off the leaves before placing them in juicer? You have both options, cut them off or leave them. The leaves of the celery taste a bit bitter. If you do not want bitter taste of your juice, cut them off. Who can drink celery juice? Everyone can drink celery juice and enjoy the incredible healing benefits. Usually, people are confused when it comes for babies, children and breastfeeding women. Celery juice is highly efficient for the development of children. Babies are also capable to consume it perfectly. Fresh celery juice provides adequate minerals, neurotransmitter chemicals and vitamin C for the new born baby. It also assists to detoxify and purify breast milk. Though most of the juicers provide equal amount of juice, but the difference lays in the quality. Centrifugal juicers are unable to keep the elements natural in the juice. In my own experiment, I found high quality juice with amazing taste from slow masticating juicer. No doubt, slow masticating juicer is a great choice for juicing celery. Can I make pieces of celery stalk before putting them in juicer? Depending on your best juicer for celery juice, you can make pieces of celery stalks. However, small pieces of celery can produce more juice as they are squeezed more competently. Is there any ingredient that can be added for enhancing healing benefits of celery? 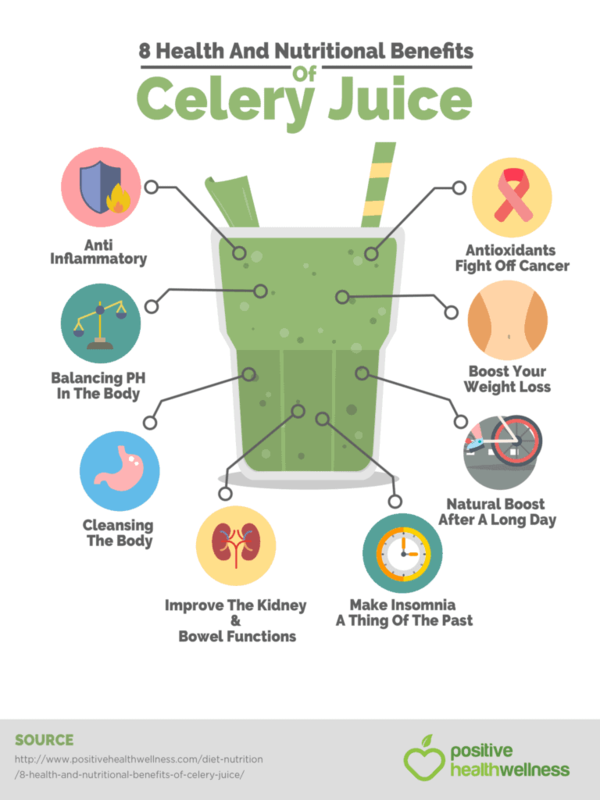 Drinking celery juice without any extra ingredient provides more benefits and work as a strong healing tool. Collagen, activated charcoal and apple cider vinegar denature and destroy celery juice. So, make sure to drink celery juice without adding anything. Can celery juice cause any change in bowel movements? When staring to drink celery juice, some people feel a change in bowel movements. This reaction can happen to those individuals who hold a higher level of toxins. It is so handy when you own the ideal juicer for celery right in your kitchen. As you know how to boost your healing system, you must go for celery juice. For the best celery juice, a perfect juicer is a necessity. You are clear enough now which juicer is the best juicer for celery. Be careful when making your decision as the juicer is a quite good investment.